Thanks. We are getting close to the 5000 views. Thanks again. 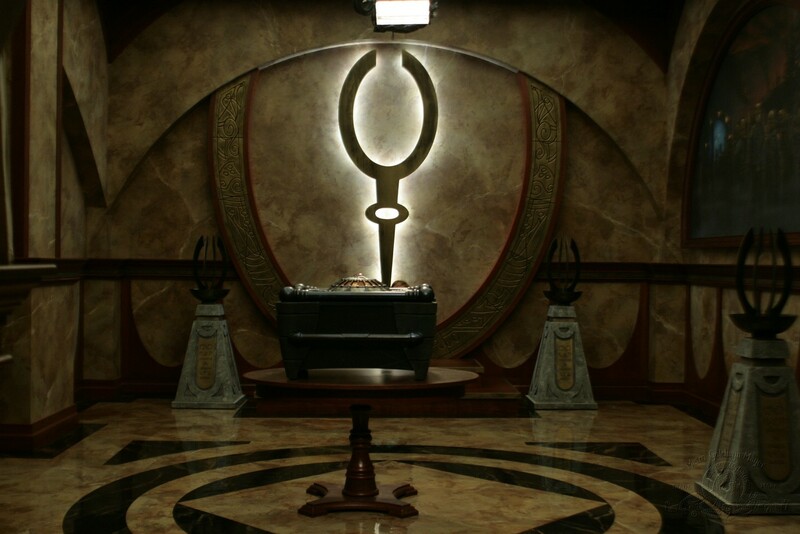 I always have been one of the greatest Goa'uld fan in the Hungarian community. Somebody has to support the "bad" buys. If you read back about the Titan story that could be their redemtion. Maybe they really looked promising as shepherds of different folks in the galaxy as "Systemlords", but then something changed and they became rival and they turned into evil. If you read it as a Stargate fans, then basically the story writes itself. Gilgames and his friend goes to different locations what could be introduced as different planets. The Hungarian version is a bit more detailed, but tablet 11 what we need... He had a quest to collect a plant from the bottom of the sea of death which makes him young again, but then a snake steels it (! ), so he lost the hope of immortality. The original epic has got other locations as well where Gilgames could travel through special guarded doors (!). So really... the story could be easily translated that they were stargates. The only problem is that this epic playes roughly 4000 years ago, so it would be a bit hard how to fit into the stargate timeline. Earth hasn't had an active gate that time. The Antarctic gate is frozen in a glacier, while Ra (Ea) has brought his own stargate to Earth when he swapped his host to humans. Even Istar shows up in the story who was equal to Hathor. There are different rivalry between the gods as well, but the roughly 2700 years old Enuma Elis talks more about it. And it has got Marduk in it, so the EE story could only work while the Goa'uld already ruled on Earth. So if Omoroca arrived before Ra then she could have been a teacher for the first human civilization in Mesopotamia. Then somehow Omoroca and Nem are separated from each other, while Omoroca started a fight against the Goa'uld. And we know the end of it that Belos (in my version Baal) kills her. But if Ra and his dynasty arrived later then this story wouldn't fit into the timeline as there was no Goa'uld on Earth at that time. Back to the Gilgames myth... Enkidu and Gilgames even visits a special forest (a Cedar forest), what could be introduced as a Nox guarded sanctuary. Maybe the Nox and the Oannes were allies and they were guarding the second evolution of Ancients, who are already ascended, left then returned 10000 years ago into our galaxy. The only reason I am still thinking how to create a timeline as we have to leave out "gaps" for other adventures (like the Titan, then the Olympus / Hephaistos story, or the Goa'uld civil war, later the Hathor banishment to America, later Janus and Egeria, or even the visit of the Giant aliens, or any other alien race see Stonehenge and Nacza ideas). Anyway, I am just entertaining myself with such myths, maybe nobody interested at all. 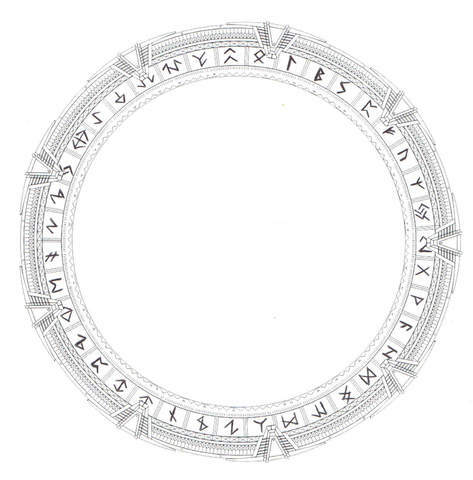 I really would like to draw a little stargate, where these ones are on as glyphs. It would be a new stargate network in the home galaxy of the Oannes. They could be introduced as they were interested in the creator of stargates, so they decided to come to the Milky way, but they have delayed a few million years as their "masters" were already dead or ascended. But they have upgraded their own stargate systems with capturing a seeding ship. Maybe they could have this house moving stargate types, so Omoroca could simply "jump" her own stargate temporaly to Earth. Maybe she was there when chosen heroes were sent to quests into the Milky Way galaxy, but then her "gatehouse" have left Earth. Maybe her actions drawed the attantion of Ra to Earth in the first place... Maybe the Goa'uld still had Unas host (and Ra had an Asgard host), then they swapped to humans as they were weakened by the Titans (or the returning Merlin). The only reason I am not so sure when Merlin and his knights were active as it sounds weird that a mediaval civilization searched through the galaxy, but Earth was still in ancient times.... You know it feels that the "descension" of Merlin should happen after Ra has left Earth. While the whole Giant aliens story should happen only after in America. This official timeline is confusing. Last edited by Platschu; August 13th, 2018 at 02:26 PM. It is so good that we can compare the gate in these drawings. I was a bit bored, so I deleted the MW glyphs and I've kept the empty gate as a model. Maybe there could be a triangle Mjölnir motive on every chevron or on the main one at 12 o'clock. I had to add additional runes as I haven't had enough for 38 glyphs. 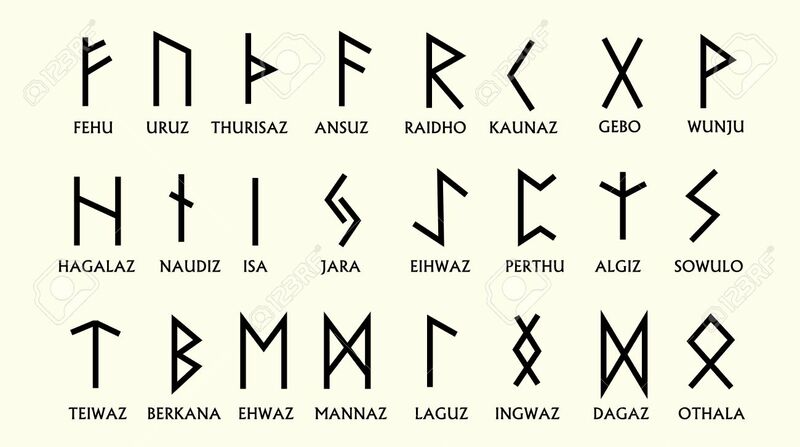 I was not aware that even a rune called "Othala" exists. But the main credits goes to Vilnisr as I have just played with his work. Well. At least I tried, please don't laugh, I haven't got a calliper at home. I haven't drawned anything for ages. I was thinking whether use the oval shape of the Ori or the original round shape should be kept. So the original round one has won, but that is the reason why is no inner decoration on the top. Then I decided to use the Ori symbols will be the chevrons, while the Ori symbol glyphs should be in a spinning outer ring as the inner looking Ori chevrons wouldn't have looked cool with spike standing outside, Maybe the top symbol hould much larger, but then the "staff" part would have been too long. Kawoosh is formed in the middle anyway, so the standing out parts should not influence active event horizont of the wormhole. But back the Ori gate. But probably this is about a conquest about the infidels in Milky Way, as the minimalistic Stargate looks like an MW gate. They have sent the Prior through the stargate and even the Beachhead pieces, so they must have at least one working "normal" stargate. Maybe they spied on the Ancients, or they have seen the route of the seeing ships across the universe, so they could have meet with the stargate technology anywhere in the galaxy. They even had their own ring transports as well. The whole Ori gate is my little obsession to see some adventure in the Ori galaxy, just to see the aftermath of the fall of Adria and the Ori. Maybe some hostile forces would like to learn how to build more supergates, so Tommin and his people would be in danger etc. By the way I would like to mention that there were two different supergates in season 9. One of them is the normal Beachhead, when the pieces came through the normal stargate, but the Camelot supergate was much bigger. You can see the size difference, when Carter was standing on it. "One of them could be like a "transformers" type of gate. The gate would like a normal gate, but with a special function it could extend itself. There would be some folded gate parts between the chevron parts (like a folded tape measure), but then it could enlarge itself. So slightly bigger ships (like a tel'tac or alkesh) could fit into it. So if we count the scales, then Orlin gate is size 1, normal stargate size 2, this one would be the "medium" size 3, the beachhead gate is size 4 and the supergate is size 5. The other would be a bit similar. In this case the chevrons would be put together by an energy shield, similar to the beachead gates or supergates. There wouldn't be a normal spinning on this one, but we could find out a creative way how to dial it. Probably this idea could work in an other galaxy or maybe as an Ori stargate." 2. The chevron could turn around by the purple button, so the 7 symbol Ori symbol would look into the puddle. 3. As a defense mechanism, the staff part could be extended as a barrier what would create a force field type thing. 4. Or after chevron activation the staff part would pull up itself so it wouldn't disturb the forming puddle. The wormhole could be a flame wall. That would represent that power of the Ori in the galaxy. The watery event horizont was in Ancient controlled space, while here would be like a flame wall. (like in AoT). Or simply the event horizont would be orange or yellowish instead of blue, That would still express same thing that these gates are / were in Ori controlled space. As you can see I have got a concept, I hope you can follow me. Last edited by Platschu; August 14th, 2018 at 04:19 AM. The team meets a traveller who has just arrived through the stargate. At first he would pretend like he doesn't remember what is going on and who he is, but then the team would find out that he was trapped in the memory of the gate system as three stargates were calling each other. Planet A called B, B called C then C called A and then the circle repeated itself and he never materialized as he stayed in the memory system. Then later we would find it out that it was not an accident, but he is a proper time traveller (and maybe a war criminal like Linea), so he used this method to escape from his timeline and he hoped that soon it or later somebody will break the circle and he can return into life in the distant future. Last edited by Platschu; August 23rd, 2018 at 11:02 PM. We start our story thousand of years ago. Gilgames was a chosen advanced human king in Uruk when Ishtar / Hathor has given him a mission. He and his friend (Enkidu) should have destroyed the remain of a Furling ruins or facility as the Goa'uld realized that one has drained the attention of other alien races to Tauri / Avalon. That could be the main reason why Omoroca and her people came to Avalon in the first place before Ra. The Oannes have got or found that Furling "invitation" what later they will use in the Paradise Lost story. Then the story could progress that there was a mystical garden where alien entities (the Nox, the Asgard, the Furling, the Oannes, The Salish and the Giant Aliens etc) guarded and taught the first humans. This place could be the Cedar Forest, what is slightly similar to the Garden of Eden. They played with the humans and they have planted the first seeds of civilization. The Oannes were unique as they have stayed on Earth when every other race have gone long time ago. But Hathor wanted to give him an other task before he could be chosen to be a Goa'uld host and to live forever. He had to use the newly discovered moon doors (Furling portals), what was a connection between Central America, Mesopotamia, the Antarctcs (and the Moon). Maybe the "moon door" is inactive under the ice at the Antartic and where the fourth one leads on the Moon can be used for an other adventure. So if we could introduce this mini Furling network between our own continents, it could be logical as well, so when the Ancients were active on Avalon this Furling teleportation device were their quick passage between the continents. It looks like she was trapped in an underwater cave where she couldn't escape or doesn't want to leave. We would learn that the Oannes can be taken as hosts and Omoroca was taken as a host as the Goa'uld has swam into their shrinking underwater oasis colony. She had to use all her energy to maintain a forcefield, while thousands of Goa'ulds have swarming around her in the lake thanks to a special Goa'uld trap. They knew that they can lure her out soon it or later, so they decided to wait for it. She also had to keep them in the cave with her technology, because she was worried that if they can reach the ocean then thousands of Goa'uld can flood the rivers and seas of Earth. Eventually she has lost her battle and she had to sacrifice herself, so she became a Goa'uld host of Chalchiuhtlicue (a rival smaller Goa'uld Queen, who was ruling on the planet Orban). The Goa'uld Chalchiuhtlicue has learned many things from her host body, so she started to experiment on such human versions on other planets, which can breath under the water or which can survive in both environment. She has taken many American natives to different worlds with her Ha'tak ships and she also made sure her little "experiments" were spreading as well. Maybe she could convince Quetzalquatl (the leader of the Giant aliens) to use their skull network to escape from Earth. This was the base of different legends about mermaids, syrens etc. That is the reason why the Aztec legends says her followers turned into a fish after she cried for years. What Chal hasn't calculated in that she could never leave Earth for a longer time, so she had to return with the Chrystal skull. Somehow her Oannes host was connected to Earth (probably to chemical signature of her space ship which supported her survival on Earth or on the mainland). Telchak made a truce with the Systemlords after the offworld civil war, so the sarcophagus technology was shared. Omoroca/Chal was imprisoned by him (or by Giant Aliens) in this secret cave again until further notice as a punishment as it looked like Omoroca managed to gain back control over her Goa'uld on Earth. He knew that she will protect Earth at all cost, so she will never be able to leave the cave. So we could learn that Oannes were mass terra-formers (maybe from an other galaxy), who made colonies under frozen moons and ocean planets where they moved or placed stargates. They are the master of water related technologies, so they can influence the shape, the size, the spreading with their forcefield technologies. They can even move oceans through stargates with the rewrite of stargate protocolls. Maybe they just simply send such toxic water through, which infects the athmosphere on the other side. Anyway they were not afraid of eridicating human and alien worlds to fight against the Goa'uld this way in the past and as now it happened within the Goa'uld civil war. Maybe the Watergate aliens were controlled by them. They have even sealed the first stargate on the Antarctic with flooding the remains of the Ancient outpost as they believed the Goa'uld will never find Earth, so the second form of the Ancients won't be found and then the human can't be taken as hosts. But then Ra has brought his own stargate anyway so this Oannes attempt had failed to keep them away from Earth. So he slained Omoroca in half (to kill the Goa'uld queen) and he has never found out what she meant. He believed she was dead, so he had gone back to Hathor for his reward. She became extremely furious as she wanted Omoroca alive and it looks like Ra knew about her plans all along. Gilgames had to fight with Gugalanna what was a mythical bull type creature (a former alien host pet instead of Jaffas before they used humans as incubators). As it was killed it released a mature symbiote, so Gilgames became the host of Belos (later called as Baal). He was just a minor Goa'uld here, like an ash'rak, not a Systemlord at all. Anu (Ra) saved Baal, while Hathor decided to search for Omoroca's remain as she believed she only planted the idea of her death in the mind of Gilgames and maybe she is still alive. Secretly Hathor still wants the find the Fountain of Youth alone for herself to get a more advanced sarcophagus in spite of Ra's direct order or something similar reason. She strongly believed that her sarcophagus worked much stronger on the other continent, when she brought it there, but she has kept this information for herself as she wanted to get rid of Ra anyway. News were spreading amonst the Systemlord about her betrayal and disobedience. Ra's position started to weaken amongst the Goa'uld Systemlords as more and more world are inhabited with humans and everyone wanted to achieve better and better hosts. The discovery of the sarcophagus was a huge step ahead what was shared with everyone, but they have always plotted against each other as well. Osiris and Isis were imprisoned in an earlier revolt, while Seth has disappeared. And now even his own "wife", his First Queen has disobeyed him as well, while a smaller, seemingly obedient Goa'uld queen (Egeria) also started her own movement against him as they have felt he weakened. Then the unexpected rebellion started in Egypt. Ra had to decide between his offworld realm and the fate of his dynasty or the ruling over Earth. The Goa'uld have left forever as some unknown alien force (probably the Giant aliens) locked down Earth's solar system and the whole Tauri became only a fading legend amogst the Jaffa. Last edited by Platschu; August 28th, 2018 at 02:12 PM. And that is the short story what happened on Earth, while a big part of different mythologies were combined with the existing lore. I have to re-read and re-write a few things, but these discoveries would be given step by step to viewers. I am not really a big fan of flashbacks, so maybe this distant past stories could be told by the ex-Goa'uld character(s). The real "story" could start with the host of Baal, so it is his "Origins" story, but I didn't want to name it as Stargate Origins : Gilgames. After the extraction of Baal a few years have passed. He asks permission to visit some Middle East places on Earth, maybe an earlier temples of Baal cult. The SGC and the Homeworld Security don't trust him as they know the sideeffect of the sarcophagus use, so Vala and Daniel will go with him. HostBaal is worried that Athena is still lurking around on Earth, so soon it or later he, Vala or Sarah Gardner (ex-Osiris) will be captured and interrogated again what she planned with Vala. He hints a few things about this and that, because he remembers most of Baal's memories. He is 3000-4000 years old and he has spent a huge time in sarcophagus. We know that this can be very dangerous to human mind, so he wants to find a solution how he could live forever again. He will rapidly age any other way and he also needs a cure for his mental issues. Anway... He wants to find Omoroca's planet as he strongly remembers her last message that there is this special grass on the planet Kur which could give him eternal life. So basically we would start a second Gilgames myth where we would slowly reveal what role he played in history, that he used to be a demi-god type of king. We would learn that his host is named as Gilgames. Daniel is obviously more than excited as he can speak with a living member of a distant past. Then Gilgames would reveal a few things about his troubled history with Hathor and Omoroca/Chal. Daniel also suggests to find Nem again, but it looks like he has left his own planet where the SG-1 found him 15 years ago. Later we would find out more about the history of the Oannes race and maybe this new adventure could lead to some unexpected discoveries. The fourth Furling door to the Moon was just an idea. I was thinking what would happen if there would be a frozen lake under a crater or something and Omoroca would be imprisoned there. If she lives at all or if she became Goa'uld etc. There were different versions in my mind. What I really wanted to incorporate the story of the Watergate aliens into the story as well as they could be Oannes related. Maybe a hostile Oannes group would control them or something.. Maybe they are "the escaping fuel" of their space ships... I have to think about it. But anyway the Oannes could have their own little stargate network in a new galaxy, so if we don't want to involve them in the Milky way, their network could be still introduced. That was the other reason I was thinking about cuneiform glyphs as they looked enough advanced to modify the stargates in their own galaxy. Maybe they have found a seeding ship, but their own Destiny ship has never reached their galaxy. Or they were found too primitive ten thousand years ago etc. But then they wanted to meet the Ancients, so they directly travelled to Avalon (the Tauri), but the Ancients have died out / escaped / ascended a long time ago. The story could also involve or mention the Giant aliens. We don't know whether the Goa'uld has never found the Chrystal skull on Earth, but they must have contacted the Giant aliens on other planets. Maybe the secret of Omoroca would be in their hand. Maybe Chal used the chrystal skull to send away his new followers to different worlds, but then the Quatzalcoatl and his people turned against the Goa'uld when they could see how much worlds were harmed with their power hungry conquests. It would be nice to reveal as well that Omoroca is still alive and she played an active role in the search of Sangraal. She is the Lady of the lake. And if we definately would like to connect even more storylines, then the Universe blue aliens could know about the Oannes. Maybe they are cousins or something. P.S. : I have reached 5700 views! Yay, thank you, gaters. Last edited by Platschu; August 28th, 2018 at 02:19 PM. I was even thinking on a time travel episode, where a new team wants to meet the Furlings. They don't know where are they now, but they know where they were. So they jump back to meet them in the Heliopolis and maybe to ask the help of the Alliance for a future problem. That cause the damage in the DHD in the first place in the palace, then a ripple effects in the timelines prevents them to achieve their mission and they will cause more trouble then good, so they decide to prevent the future themselves to arrive in the past. You can find more pictures if you click on "kepek" (pictures). Even the gate addresses will be there, if they were known. As you can see we have put many-many effort into this giant database. Three of us have made it. Most of the articles were written by me 10-15 years ago, maybe the Google Translator can provide some translations, but since the Hungarian grammar is reallyy difficult, probably it won't be any use. So at least try to enjoy the photos of the planets. I translated the first two seasons already, so I plan to continue, if you don't mind. By the way... The database was not updated after the season 8 of SG-1 as we became a bit more lazy or less enthusiastic... Ooops. So mainly SG-1 season 1-8 and Atlantis season 1-2 are in the database. So don't look for Stargate : Universe. Oops. Last edited by Platschu; August 23rd, 2018 at 02:51 PM. Clava Thessara Infinitas - the "Hub"
So I was thinking on this idea for a while. I believe this Ancient treasure room would actually be the hub of the stargate network in the Milky Way galaxy. Nobody knew why it was locked down or abadonned. The new team would find a mysterious Ancient vehicle, what they would give a nickname as the "Shell". This is such a vehicle, which is capable of carrying passangers or rebuilding itself around a stargate through active wormhole, so it would use it as a "stargate drive". They earn the nickname shell as the pearl is the stargate and the protective building, the shell will be this new vehicle. Or if you follow the Hub allegory, then the Hub was like a police station type of facility where the shell(s) used to function like the police cars. They could follow all the stargate activity in real time as the gates inner memories and synchronization has gone through this lost Hub base. Like a giant router, where every gate expands the local gate protocoll in subspace like a "wifi". The Ancients always believed that the biggest weapon is knowledge, so that is the reason why the hub is called as infinite knowledge as it was a reference to the infinite distance what they can explore with it. Anyway these shell type of vehicles were used to investigate such faulty gates and DHDs were something unusual activity happened. It could be used to create forcefields in toxic atmosphere or if they were underwater or in space. Then something happened and the whole hub disappeared like it has never existed. There were legends among different races that maybe one day somebody can find this "treasury room", because who can master the hub, can hopefully positively guard the stargate network and maintain the peace in galaxy. The Hub used to be maintained and kept in secret by a Genie, who lives in the DHD chrystals of the network. Maybe he locked down the planet centuries ago. We can later explain why he needed this desperate act and where the whole facility has been (transphase, other galaxy etc.) The Hub has got a nine chevron address, but it can be only reached safely through this "shell" ship. I tried to explain how it would work earlier, so basically a piece of transphase technology would allow to rotate the building pieced into an active wormhole, where it could materialize itself around the stargate and then to return to normal phase. The Ancients were planning this type of travel the next achievement after the puddler jumpers as it can rebuild itself in space or in any harsh environment. They were planning not just to maintain the current stargate networks, but even to follow the seeder ships with this technology, so even if the Destiny gates haven't got DHDs, this shell ships carry one on it which adapts to the local stargate network and it can also locate the stargates in the near. Basically it works like an advanced version of dialing ships, what Eli used in the Destiny. They knew that the Destiny was abadonned a long time ago, so the remaining Ancients were working on an alternate solution, but then the plague interrupted the experiment and the normal life of the hub. The main advance of the shell ships would be that they can jump between huge distances much easier as they need to use the ninth chevron (without the eight) for jumps. Basically they turn on the 9th chevron to support their own transportation with the Shell. They use the combination of the energy of the active wormhole, the transphase and the subspace technologies, so it looks like dr. Rush was wrong about the 9 chevron addresses. The Ancients would have never built in such dangerous wormhole activity into the stargate network, where complete planets can be exploded because of the energy needs. It looks like Rush and his team dialed a nine chevron address through a normal stargate, while this little tel'tac sized ships can do it much easier and safer. The shells can't jump to a distant nine chevron address directly, but they can jump between 8 chevron addresses much easier. Maybe all shell ships would also have their own complete 9 chevron long gate address like an ID number. So theoratically all normal stargate was able to call or to dial this Shell ships. What can be handy if they want to return to it without the Shell, but it can be also dangerous if an enemy finds them as well. So the new adventure would start on one of this shell vehicle. The mysterious Genie could give them some task to prove themself to be worthy in the Milky Way, while they make a deal with him/her that they can use this technology to go after the Destiny crew. The alien also has got his own past and maybe he is not completly honest why he really shared and helped with this technology in the first place. What they have quickly realized that the Hub has gone and it is not in the Milky Way anymore. It looks like the final "shell" has just landed in the hand of Earth. The new team would manage to find and to take back the Hub later, where their new alien friend will be the leader and a new hostile alien race will also show up to take it away from them again. That is how the new SG adventure starts.. The limits of this technology can be still discussed like why could it not dial the Destiny directly? Can it jump galaxies? Does it use only 7 or 8 chevrons? Can it dial transphase gates? What does the 9th chevron do? etc. I believe it could work as a next chapter in the Stargate mythology. I imagined a little tel'tac sized ships with a few rooms that would be essentially our new base which can maintain a small crew. It would have different compartment, so "shell based" stories could be written how they discover all the functions or if something goes wrong they can be isolated etc. They could investigate the past of the shell as well, what could also lead to new discoveries. While the stargate would be in the hangar, which can be released, so the shell could leave the gate behind and fly away when it is needed, so essentially the shell could be a big brother of jumpers for explorations. Or maybe the Shell could half itself, so the hangar part would be locked with the stargate, while the inner part could work as and individual space ship. Or if they simply open the door they can walk around on the surface of the dialed planet etc. It depends where we want to move the story, this technology could be used in the Milky Way, maybe to visit some other galaxies (the Ida or the Pegasus galaxy). And as the story progress we could find out what happened with Hub, who is the mysterious "Genie" and what could happen if a new hostile race also uses the shell technology for bad reasons. etc. Last edited by Platschu; August 30th, 2018 at 03:38 PM. No wonder 'views' keep climbing, these ideas are more than good enough for one or several SG shows or at least mini-series. BTW, I found Google Translator gives readable English versions of your .hu website/database. Wonder if they're accurate, tho. You haven't been here for ages. Thanks for the feedback. As you can as I was busy in the last few weeks. I agree with you, we don't need more hyper-super-mega ascended enemy. I want to tell stories with a few little twist, maybe to fill some plothole, maybe to answer some unanswered question etc. But I believe we have to introduce some new technological elements, what could start lots of new storylines. SGC is not only the one who should be able to upgrade themselves, so even our enemies could learn from alien ruins. But honestly I am just an enthusiactic fan, so it is not really my job to write a new spin-off or a new Origins story. Just I felt that most of the fan fiction are focusing on character moments, while I prefer the techn / mythology related stories. Just I was thinking about so many things, that no idea was properly written or explained to the "audience". But I hope you still enjoy my little brainstorming session as currently this is my fan fiction "style". Our database was quite accurate and more detailed than the GW one or the wikipedia, but that was 10-15 years ago. We haven't updated it since Atlantis season 2, so it was discontinued after 2003-2004. You have no idea, how much effort and care I put into it to entertain and to inform the Hungarian SG fans. While GW is the real forum, that platform is rather used for visual entries. I tried to be useful there and to show a few interesting things. Back to the Omoroca story. That would essentially an Omoroca-Baal story. Maybe it sounds a bit forced, but they could live in the same time. I didn't want to change the Oannes necessarily evil as if they have save some part of the humanity in the past, then why would they turn evil now? But anyway I was thinking what if an ecoterrorist race placed some "bomb" on different planets. Basically it would be some spores or toxins which are frozen in water. If the climate of the planet reaches a critical level, then the ice melts and the toxins kill the citizens to "free" the planet under the influence of civilization. Then we could learn that they have also left such "climate capsule bomb" behind on the Antarctic when they have flooded the first stargate. Maybe this type of unfair retaliation has already started on different planets in the Milky Way. Our new team must find the responsible race and to find a way how to stop the process. The Tok'ra and the Jaffa would also find such world when everybody burned to death, but there is no explanation what is going on. Maybe we could find out that the Watergate aliens flooded these worlds, the people burned (and drowned) in the process, then they moved back to their own planet or maybe the "water" has sublimated into the athmosphere like a living organism. So the leader of the Free Jaffa State : Teal'c would ask the help of the Tauri to investigate what could have happened. They visit the planet of Nem, then maybe they could try to contact the Watergate aliens for little clues etc. Then I was thinking that the rapidly aging Gilgames (exBaal) could be rescued temporaly by Todd, who could give him back a few years. But why would he help him if this cross-over happens in the story? So anyway I am still thinking how to tell the tale of Baal and Omoroca the right way. I tried to establish approximately what happened in the past with the combination of the lore, Egyptian, Sumerian and Aztec legends if you noticed, but I have to find out a good story for the present as well. The hub story could still work with the FTL blockade what we talked earlier. However initiated it, they must have done for that particular reason that the hub activates itself and return to duty. Maybe the flood attacks also served the same reason as a hostile race also would like to find it as well, so basicall even these different stories could be merged into each other. etc. Last edited by Platschu; August 30th, 2018 at 03:47 PM. I was lurking around... viewing, with nothing useful to post. 6027 views. Yay. Thanks everyone. I am not good enough at English to write a fan fiction. Yours is so detailed like a movie script, well done. It would be much easier in my own native language. You are right, if we don't have the right main characters and then the right lore fitting setting for bad guys, then any technological upgrade idea is just wasted. But that is the reason I like brainstorming "independent" adventures and alien technologies, which could fit in MW/P/U or any other stargate environment. My vote would go for Cassandra. She must be now around 25-30 years old, so she can be introduced with any profession. She has got an established past in the lore, while she has got a direct connection to SG-1. She is also a hok'tar (advanced human), which can be handy in storytelling. Second vote would go for Todd. He is a fan favorite and he has got direct connection to the Atlantis backstory, while he could be as a scientist. Maybe it would be too much to use him as main character, but he could be at least returning. Fourth vote would still go for Vala as Claudia Black is amazing. But I would imagine her now as a half-settled mother next to Daniel. 10 years have passed, so she wouldn't go into too much action at age 45-50 now and maybe she turned into a responsible parent. Or she goes for "collecting" exotic souvenirs with her daughter, while Daniel educates students in offworld universities. I definately imagined them as they are living together offworld. We talked about potential technological upgrades and new stargate networks, the troubled past, characters, new mythological races, but we haven't discussed the current state of the galaxy. The stargate shows were always US army centric, so I doubt a "pure" civil settings would be accepted by the fans. But I am still interested how would you imagine the future of the Milky way? Hundreds of worlds were enslaved by the Goa'uld, then the Replicators came, then the Ori crusade started, while the Lucian Alliance also caused some trouble. Then what? Would they establish a United Nations type galaxy wide organisation? Because we have heard about the Jaffas that they would try to establish a Jaffa State with a parliament, but would happen with other worlds? Would the humans world cooperate and trade? Or would they exclude non-human races? How would it work in such a scifi world, where theoratically everybody could call everyone? Would they form coalitions? What would happen with those worlds where the stargate technology is not public? Or if there is a civil war? What would happen with the poor planets and the rich ones? Would they control their own "immigration" between worlds? Would the planets accept a common constituation (like contactology rules, gate related safety mechanisms etc.)? Or at least to accept some guidelines who to deal with undeveloped ecosystems or worlds... How would they prevent gate travel related fatal injuries, if anyone can put a forcefield / Iris / other defense on their stargate? Can we talk about real borders if they can visit / conquer each other with ships in space as well? Many-many interesting questions, which could shape the setting of a new SG show. Just share a few ideas. Last edited by Platschu; September 1st, 2018 at 02:41 PM. I set out to write SGU's Season3 Opener. But it grew, and grew... Now it's either a movie, or a 3-episode Season opener. Actually I have written a longer fan fiction called "Feltámadás" which means "Resurrection". I had some life crisis, so I have spent a big amount of time writing it in 2000-2001 when the SG-1 reached only season 3 or 4 and I was watching it in German on RTL II. It has got 25000+ words on 25 pages with Times New Roman character size 9. It was mainly a mythology based story how the team was forced back to return to Abydos. Funny enough that lots of elements have showed up later in the Stargate shows. My "SG-1" briefly mentioned Atlantis, then it happened as a spinoff. There was some transphase stuff as well based on Egyptian mythology. There was a scene in it, where the stargate connected to a spirit realm / afterlife that one has also happened in Meridian. Now as I have re-read it, it is rather funny than good as my characterization was pretty bad and even the franchise really evolved a lot after season 3-4. But anyway I was very proud of myself, then only 2 people were willing to comment about it and they said the story was too complicated and there were too many dialogues. So these feedback broke my enthusiasm as an amateur writer, then I have never published a longer story again. Maybe I should not have given up so easily as nobody was born as professional writer and it needs lots of practice. If you are interested and I haven't scared you away, then I can send you in email the doc file, but probably the Google Translator would mistranslate it as the Hungarian grammar is really-really complicated. Or I can write down the abbreviation of the story here. Last edited by Platschu; September 1st, 2018 at 11:22 PM. 1. If the chrystal could "scan" to DHD user then it could establish whether the travellers is a human or not. Then the dialed planet's DHD could communicate with the other DHD, so the safety of the journey could be established by new gate protocols. 2. All stargate should have an individual ID. If they have got an ID in the network, then maybe the Hub could suspend individual gates through the inner memory network. This way they could sen out orders to lock particular stargates. 3. If they can identify individual gates, then they could make subgroups for local user races. Like a local Avengers type program would control a bunch of stargates around the same world. This step could be essential for different galactic civilizations. 4. Gates could send incoming travellers through memory then back or to any other world like Anubis did. 5. Maybe the 7th chevron's colour could change like a "lamp" if the journey is safe to the other side, so that is the reason it would be essential to have the "pre-programmed" MW race profiles in the DHDs. Maybe these profiles could be also modified or changed in the Hub. It would mean same races would never ever be able to use the stargate system. So many stories could be based on this if it is used or if it is abused etc. Or even the new council type scenario could work together to develop such safety option as they combine the Goa'uld/Ancient/Asgard technologies for the greater good of the whole galaxy. 6. The Hub could sense if a stargate or a DHD is damaged or malfunctioned and it needs replacement or repair. So essentially they could see such stargates which are unable to spin, but it can still communicate with the other stargate within the inner stargate memory network. This way the Hub could see which stargates were buried. 7. The Hub could also see if a stargate was put into transphase mode in permanently (by Nox) or just temporaly. 8. The Hub could see the Sodan worlds as they work like an inner teleportation network within the stargate. 9. The Hub could see if anyone made any other modification on the network (like adapted VR world, send back loops, extended travelling time worlds, Asgard beam, Goa'uld rings, Stonehenge activity and even the McKay-Carter birdge). 10. The Hub could see if anyone entered with gateships into the wormhole, so it could make a log about the puddle jumpers / Jaffa vehicles / any new developed jumpers. The new "shell" type ships could be also monitored in real time. 11. The Hub could see if a gate is underwater or in toxic atmosphere or in space if it is non-stoply have a connection/pressure on the stargate. Maybe the DHD or the chevrons would have such sensors which would help the different races, so the race profiles could be important. 13. The Hub could also see even the blackholes or solar flares which could affect the journey, like the satellite network in Continuum. 14. The DHD could have a virtual tour guide feature that was the Genie idea. That character could serve the stories as a "living MALP", but I talked about it a lot now. 15. Later this VR character feature could be turned into a communication way to the different worlds. Like a TV chanel projected through the stargate. Or warnings could be sent around. So many-many little gate related ideas, which could lead to new adventures. Maybe some of them could be explained why we haven't seen before as the Hub could have been turned off, destroyed or removed. Maybe the extra stargate protocol options were turned off for a reason or even a new enemy twiddled it. Maybe some protocol changes of the DHD/stargate could be inherited from more advanced stargate networks. Or some of them could be a direct modification as any advanced civilization could access gate related technologies, what we talked before. Last edited by Platschu; September 3rd, 2018 at 12:27 PM. You should use Google Translator yourself to do the translating. That would allow you to gauge its overall accuracy, and fix the most egregious mishaps. Also, by allowing you to see your writing from a different angle, it can help with general trimming & polishing. I have just re-readed it. Just I am surprised on my own enthusiasm. So many mythology reference was there what I couldn't remember. Some part of it is good and some of them are really-really bad. The story is a bit overcomplicated and unfortunately most of the story won't fit into the current canon / lore as it was built on informations from season 1-4. Anyway it will always stay in my heart as a nice memory. Perhaps you could rewrite it, or at least a part of it, to make it current again? Have missed me? You scarred me last time to write a proper fan fiction, not just ideas. My enthusiasm was slightly broken as well as they have fooled us again at SDCC then at Vancouver too. You know exactly that I have got a few ideas how I would shake up the current lore. It is all about the lost Goa'uld Maat, who has disappeared from the Goa'uld history centuries ago. The story would have revealed what happened with her. She was imprisoned by Ra in the pyramid of Abydos in a secret chamber. She was locked up in a sarcophagus with a black feather. This alien was Sia, who is a Hurter (a Malefic Spirit). These aliens have got a very small physical, black body in our reality what they are capable of forming into different objects. But their true body live in an other dimension / reality. Imagine it like you are seeing the pumping heart of a living human in front of you, but his or her body would be out of phase. So anyway these "Hurters" are quite dangerous as they are capable of reading mind from a distance and if somebody is so unlucky that they are directly connected to them then they can even control them. The other famous Hurter is Hu. He also has got Egyptian mythological reference. Both of them helped Ra. Maat later revealed that she believes they came from an other reality and they helped Ra to climb to higher position amongst the Goa'uld. These aliens feeds on near-death experiences, so they don't hesitate to physically or emotionally torture their victims until they can not read all the victim's last memories before his or her death. So they are pretty bad guys. Ra needed them as most of the slaves were taken from Earth on that way, that they acted a little. They made the future slaves believe that they died, but the merciful gods helped them to revive them and to serve them on other planets. So anyway these aliens attack the SGC. They really badly torture Carter and she almost died in the story. Hammond called the help of the Tok'Ra, but instead of the Tok'Ra, the Goa'uld Maat walked in. She introduced herself as "Taam'ar". She helped out Carter from the massive whump scenario, but Teal'c found out that she was not a Tok'ra and she had a few Hurter with herself. These aliens couldn't make mirror images, so they can be visible in mirrors. They looked floating rays with long tentacles, which were touching the people to read their minds. Anyway the story ended up on Abydos, where Jack, Teal'c and Daniel tried to save Carter, who was taken there by Maat who wanted to be revealed after Teal'c has found out her little hints. I won't bore you with the details, but the team was separated quickly. Jack was captured as his black sunglass was also a Hurter. Daniel was facing a death trap as he was forced to stand on a pressure sensitive button which activated lots of zats in a wall, while one of the Hurter formed a black scorpion to scare him and to step down (to choose death by the zats) as a free decision. The main story was going about a pair of Hurters: Sia and Hu and their four childrens. Teal'c was only capable of sensing them as he was trained as "insider priest". So Apophis educated him about some mystic arts, so he could leave his physical body and to fight against these powerful other world aliens. I know this sounds like Matrix, but I was strongly influenced in 2000, when I have written it. The big reveal was that Maat didn't want to hurt Carter at all. She was tortured by Sia for centuries and she finally reached her ultimate goal : the truth about afterlife what she was acting and lied so long for the slaves. Sia could turn a Goa'uld into a "good" Goa'uld as she has truly regretted her past crimes, while Sia has also learned a lot from her and her host body to understand the forces of the universe. Anyway Maat has died long time ago, when the SG-1 destroyed Ra's mothership. Her sarcophagus / device was in a direct connection with his ship. Sia was keeping her alive, but they were still locked behind a special chamber, where Sia couldn't walk out with his physical form, but she could leave it together with Maat on the spirit world, then turned her back to flesh and blood for a short period. That what has happened in the SGC. Hu and his "childrens" were torturing Carter directly for Jolinar's memories. Jolinar knew what could have opened the chamber where was Maat was locked up. They needed a special item called "Palladium". It was like a statue, which must have positioned in the right place and direction in a special room inside the pyramid. This room has got thousand of little holes in it which looks to the same stand. If somebody has put the Palladium there, then the moonlight was broken on it and it was reflecting to a group of holes. Every hole has got a little crystal in it, so if the wrong one was lightened, then those could shot a laser back to the centre and destroy the object in the centre forever. To make it even impossible, if any human had a look on that Palladium as it was activated then he or she became blind. So this puzzle was not really solveable by normal humans. Then we could have learned that the original Palladion was already destroyed as Hu wanted to enter into Ra's treasure room as nobody could see what is inside on the physical world or the spiritual world. Anyway Teal'c saved Carter then Daniel in the spirit world as he managed to kill the Hurters which tortured them. He lured them into the transport rings, where the movement couldn't affect their mind reading skills correctly. Teal'c managed to make a truce with the last surviving Hurter who couldn't control or read Jack. He told them that probably the whole Palladion was not needed at all. The map room was made from such materials, which were transparent on the spirit world, so they could see the night sky even in the pyramid. The remaining walls were also covered by strange writings, so basically the pyramid was built around an alien map to "shield" it. So the little crystals in the holes were actually floating stars in the spirit world and the colour difference revealed the right combination what could have opened the door to Karesha/Maat/Sia on the physical world. Teal'c managed to convince the young Hurter to form such a statue, which points to these stars. The Hurter was also afraid of his own death as a wrong movement could have killed his physical body, but he agreed to help out his "mother". The Hurter formed the new Palladium (Palladion) and the door was opened. Maat was released by Sia when she could see her son reached the next form of their evolution as soon as it could leave behind his own fears. Sia has also evolved from the experiences long time ago. She could reveal her final form : Ahn, the light bringer, so she turned into an angel type being with wings. That was the main reason she could walk through the walls while Hu and her children couldn't as she has reached this advance state. The final scene was that she opened the stargate to the afterlife then Maat/unnamed Hurter blowed a special horn and the spirits walked through the stargate including Sha'ure who has forgiven her death what was casued by Teal'c. Maat left to the spiritual world and Sia forced Teal'c to promise to never ever reveal what happened. Then they have gone. Teal'c returned to his physical body which was left in kelnoreem and the team was reunited. So this was the main spiritual steps related story. I imagined the Hurters like pokemons, so they had different forms and skill sets. I can simply not find why I have chosed the highest level to be called as "ahn" the light bringer. Definately it was not "ankh" (means life), but anyway it is not important anymore. The title is actually the "resurrection" of Maat how a Goa'uld could "ascend". When I have written this story I didn't know anything about ascension or the Ancients = light beings revelation or the fate of Marduk or the stargate to afterlife in Meridian or the ascension of Anubis. I am still proud of myself that I could find out a similar story years before it has happened in the show. Maybe this little story could still work if the SG would go into the transphase realms as they could be still combined with Rhee'tous or the Sodans or the Nox etc. I hope it was still enjoyable. Last edited by Platschu; September 29th, 2018 at 12:57 PM. 1. Who shall survive the mission of Destiny? 2. Where should it be continued? 3.) How much later should the Destiny be continued? 4.) How should the Destiny be continued? The reason I am asking this, as 7 years have passed since they have started to cross to the other galaxy. Even if we could get a new SG movie, SG spinoff, their fate should be addressed one way or an on other as if they could survive the journey then they would have picked up the communication 3-4 years ago. 1. I could imagine such a scenario, where we could see some SG:U characters on Earth, then we could slowly learn how they were rescued. But it would feel like cheating, like pages are missing from a novel. 2. Or if they can not afford to rebuild the set or to call back all the actors, then some of them could wake up in an alien captivity, like a prison. Maybe the blueberrys (or the Vanirs or the Novus people) have boarded the Destiny, then they took them hostage, then the Destiny left / destroyed / hijacked. This way we could still follow them what happened without using the original Destiny set. 3. Or if we don't want to touch them, then maybe the Destiny hasn't wakened them up after 3 years and they are still sleeping. The original story was far too complicated. I don't think even Brad Wright knows what he wanted to tell. My fan fiction idea was that the Ori gained energy from the believers, while Ancients gained energy from the user of technology. When the viral infection happened, then literally their enemies wanted to greatly reduce the number of gate users. Then they have ascended and it hasn't mattered anymore, but some higher lifeforms told them that they can not interfere with the material world anymore. Maybe the Ascension is connected to Cosmic Backgroun Radiation, as those souls are pure energy now. So if the stargate network is like making wormholes in an apple (our galaxy), then you can imagine what the Upper Level Beings would say when these tecnology indicated wormholes starts to infect the whole fruit basket (other galaxies). Then I envisoned when Atlantis activated the wormhole drive in 5x20, it has caused some "ozone holes" in the CBR. The Ancients were strictly forbidden to be used by the earlier ascended races, but now it looks like Earth is in great danger as this pact was broken. Maybe the Destiny typed ships entered into such galaxies, where the hostile forces were strongly against the building of local stargate network and then that is how my Hub idea would start, what I have shared before. My other idea was the whole CBR is like part of the Yggdrasil. Like we are living in a giant cosmic bubble and the wrenches of this "tree" covers us in this reality. The only reason I was worried about these ideas as I don't want any more Ascension or other plane related storyline as you can not write realistic hostile forces around. Honestly I would have written out the Ancients for once and all. I always imagined that there must be other ascended beings on higher levels. So if the Ori were the Fire, the Ancients were the Lights, then maybe something is the Darkness. That could be connected to Anubis (he has been away for 1000 years) or those imprisoned half-ascended beings what we have seen in Atlantis. Maybe they are part of the dark material, which directly influences and guide the flow or the resonance of CBR. If we would follow the Yggdrasil storyline, maybe the Vanirs are responsible why our Local Group would be in danger. 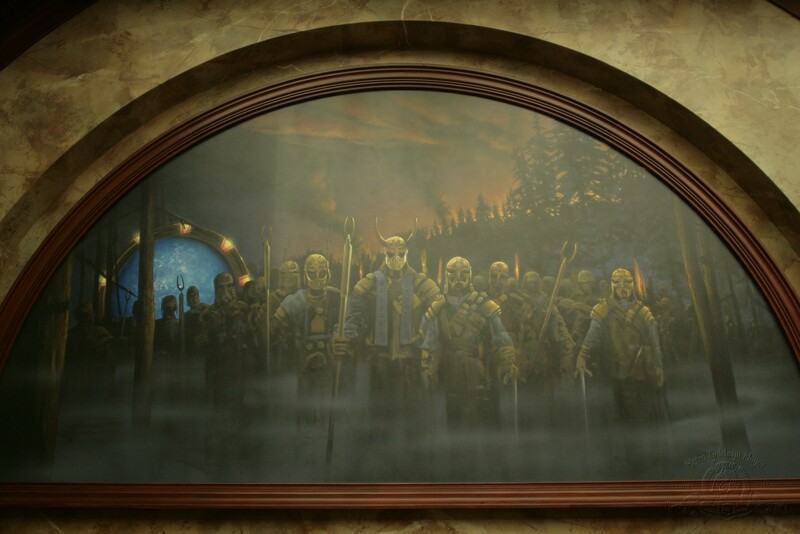 Maybe the Asgard Ragnarok was not complete in 10x20 or a time travel would rewrite history. Or the CBR could be connected to the Eden aliens, who could create solar systems and planets. And don't forget that while our visible universe is expanding thanks to Big Boom, some part of the universe must be shrinking as doing the opposite. Maybe the CBR is an echo from the past how these unimaginable forces works constantly in our galaxy. Maybe the CBR is connected to an other dimension. You know everything exists in dual version in nature (the D and L version of molecules), which can rotate the light waves to the right or the left direction. So why would nature waste so much time and material on this duality, when half of it hasn't got any biological function? This could be explained by the CBR. So I don't know how the CBR storyline can be finished off creatively, but it is BW's job, not mine. We don't know if the Ancients ever reached the Destiny. According to the comics, they did, but that is not canon. I agree, Ascension sounded like a cool idea, but then the writers couldn't treat it. They introduced Anubis, then the Ori, then they have got ridden of them with very simple tricks. Then Adria was ascended, but she was also written out with a reused easy solution. Somehow I have felt that our heroes haven't really played a real role in these victories. We don't know what was the past of the Destiny. Any other races could board it, but then maybe they have given up and left the ship. I always wanted to hear a Vanir (evil Asgard) story, since they have reused their exoskeleton / spacesuit. The ship was already damaged and it closed its command centre for reasons. Then I imagined that maybe the passanger of Destiny could travel back in time, so they could be the Ancients. But then it would have been a ripoff from Babylon 5 (spoiler?! ), then the Ark of Truth and the whole Novus storyline overwritten my idea. Maybe the Ascension could be directly related to CBR. 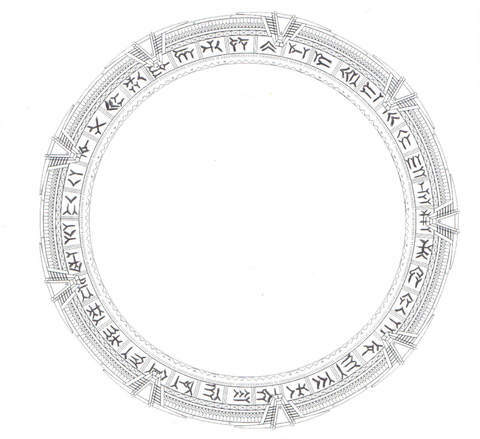 If the expansion of stargate network(s) reached other galaxies, then maybe an 8 or 9 chevron address dial caused some permanent damage in the CBR. And maybe the ascended beings fills these gaps with their energy, so the float of the universe could be constant and the law of physics don't collapse. Maybe that is our ultimate goal of our existense, that we merge with the universe not just on the physical world, but on the spiritual as well. Maybe the Great Alliance was also forged to meet with the representative of God like beings who told them what role they must play in the evolution of younger races. But this step would be also a ripoff from Babylon 5. Maybe the explosion of Asgard was the Ragnarok, but it was not a suicide, rather a Mass Ascension for the Asgard. So what I wanted to say, the Ancients were not stupid. Why would they build the stargate network, if they don't let the younger races to use it? Why would the seeder ships plant stargates if nobody can go there or even if they could they haven't got the dialer tablet in hand? So that is the reason I wanted to introduce those "shell" type of ships, which rebuild themselves around stargates and they can travel in the gate memory system. Then you have heard to rest of the story, that the Hub was stolen from Milky Way, our heroes goes after the Destiny as the the Attero device blocks the FTL drive. But then the big twist would be that the blockade enemy race is actually our friends, while some renegade / evil Ancients would return to humanoid form as they gained enough energy from the increased gate activity in Milky Way. So that was the reason the Attero device was activated as they wanted to force everyone to use the stargates to "believe" in them via using their technology. But back to the Destiny. What I always missed that they haven't let McKay and Carter to join the crew via the communication stones. If somebody could help the mission out, then these heroes. As I said we don't know what happened and who could visit Destiny. Maybe the original Ancient gorup, who sent the ships after the seed ships have been killed so this "deep space" project was never continued. Maybe they were more busy with the MW gates then with the P gates, so nobody was bothered that the automated seed ships just spreading and spreading the gate network. My idea was that a "shell" type building could jump after them, so this new ship would have a DHD on it, so that is the reason it could be a perfect tool to try to go after them. Or my other idea was the supergate-X303 combo, where they send supergate pieces through then the ship follows it through the stargate, then the pieces of the leftover stargate will come after them etc. My third idea was that what if the Destiny will start the Big Bang with a time travel twist? Fourth idea was that Destiny could play a role of a bee. So if the local suns are like flowers, this Destiny type of ships not just recharge themselves, but they also changes the suns as well, so they create "life" and they start "evolution" with changing the chemical reactions. And CBR is like a galactic wind which brings this "spores" to different solar systems. The only reason this idea wouldn't work, because then Destiny should have entered such solar systems, where the planets are only formed, but they have visited many planets with complex athmosphere and local evolution. I was thinking that Ancients wanted to give a communication way for younger races (and themselves) to meet and learn from each other. Somehow I can't imagine that they would build a 9th chevron feature in every stargate (the U, MW and P networks), but then there is only one 9 chevron address in the whole universe. Why would they let anyone to destroy their home planet? It doesn't sound right or logical. So that was the reason I wanted the introduce the Hub which could be centre of a stargate network, like an origo, which can be dialed in every circumstances to rescue people. Maybe the enemy of the Ancients have stolen this hub, maybe a disaster sent the complex planet in a new galaxy, or in transphase. But I could definately imagine such a scenario, where the enemy directly modified the gate protocoll, so the safety and the energy need greatly increased for 8 and 9 chevron addresses. So if they could find the Hub, they could restore the protocoll, then they could much easily to dial the Destiny to rescue them. For example even the Gadmeer could be asked how many Icarus type of planets are in their catalogue. The automated ship has tested thousands of planets, but what if it came from an other galaxy? Or what if the Hub can call an other other Hub, so this discovery could finish off the Destiny storyline, while they could start a new spinoff with filling up the plotholes. But it also means they still have to explain what the Destiny crew was doing in the last four years. And it would feel odd that a new team with the combination of SG-1/Atlantis characters put so much effort to rescue them, while the Destiny crew don't do anything on their end. So maybe the hub or an other Destiny (a new set) is stuck somewhere halfway, so they could dial that one then dial home or something. While anything can happen in a scifi and it would be time to use the stargate system on a bigger scale with logic limitations. Then the new bad guys will not necessarily interact with MW races as they are strongly isolationist, so they just simply closed the FTL windows in subspace and then they believe they can not be found via the stargates either as the protocoll defends them in their own galacxy. Then a new team arrives with this "shell" ship who tries to negotiate with them.